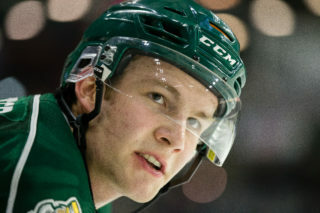 EVERETT, Wash. – Joachim Blichfeld collected a hat trick and added an assist while Cody Glass dished three assists to help the Portland Winterhawks get by the Everett Silvertips, 5-2 at Veterans Memorial Coliseum before 4,007 fans on Friday in WHL action. 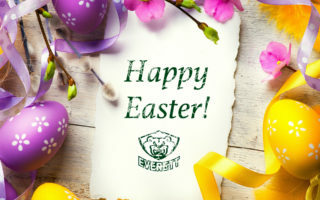 By taking just their second loss in the last ten games and seeing their seven game road win streak snapped, the Tips dropped only their first loss in the last four visits to Portland and into to a tie with Vancouver for top record in the Western Conference and two points ahead of Portland for first place in the U.S. Division. Jalen Price and Sean Richards scored both Silvertip goals. 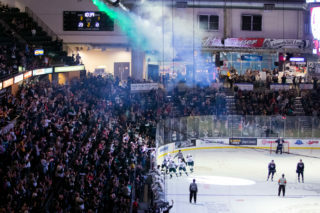 UP NEXT: The Tips return home against the Vancouver Giants on Saturday at 7:05pm (1520 AM KKXA / Tips App), a battle between the top two teams in the Western Conference in downtown Everett. 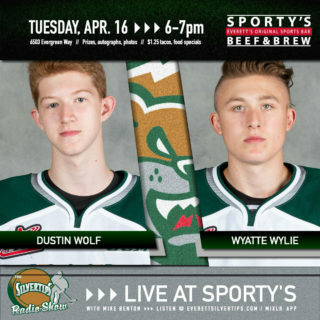 Tickets are available at www.everettsilvertips.com/tickets with the first 500 fans at the doors receiving a Silvertips rally towel presented by Erickson Furniture. Jake Gricius banged in a power play goal just 3:40 into the game on a rebound but the Tips evened the score on Price’s goal, his fourth point in four games, at 8:04. Dustin Wolf turned in an incredible glove save on Cody Glass, stabbing to the right post, to keep the Tips down 2-1. Blichfeld eventually put Portland up 3-1 with 1:02 left in the second period on his deflection from the right circle, and then scored on a breakaway for the hat trick goal at 3:05 of the third period for a 4-1 cushion. Sean Richards slammed in a rebound at 7:21 to draw the Tips within two goals, igniting one last rally. Shane Farkas saved his most effective period for last though, making 16 saves to set up Mason Mannek’s empty netter from center ice with 28 seconds left. Wolf took the loss with 24 saves. 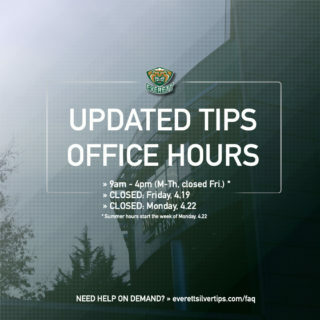 NOTES: Silvertips scratches include Blake Lyda, Conrad Mitchell, Akash Bains, Peter Melcher and Bronson Sharp … the Tips finished even with Portland in shots, 29-29 … the Tips went 0-of-5 on the power play … Jake Christiansen led the Tips with five shots in the game … the Tips fell to 3-2-0-0 in the season series.